This Christmas pantomime is about to be the talk of the town! Luna Bay’s festive preparations are well under way and the much anticipated annual pantomime is to be, once again, the highlight of the season. Too bad that the village’s very own actress and darling of Broadway, Alice Woods, isn’t feeling in the mood for Christmas. Until the pantomime comes under threat and a grief-stricken Alice is forced to push her personal pain aside and step up to direct – after all, the show must go on… So with (more than) a little help from her new found friends, not to mention one very gorgeous Hollywood A-list celebrity, the play begins to come together, but will Alice finally believe that Christmas is a time for miracles after all? 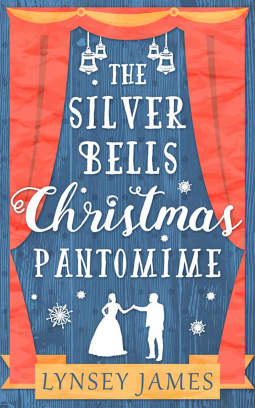 With panto season wrapping to a close in most theatres in the country now, its the time i shared my thoughts on The Silver Bells Christmas Pantomime. Having briefly visited Luna Bay before it was nice to visit in the midst of christmas, its a shame some people were not feeling the festive spirit. Alice Woods does not have the special place in her heart for christmas not anymore, not when it holds such special memories. So more than happy to work as a christmas elf in the day, and hide in the evening until this season has passed. All that is about to change, when she ends up stepping up to direct the play, and around the same time Ethan arrives on the scene, this whole christmas is about to get a whole lot more interesting. Lynsey creates wonderful characters that you can relate too, this book is a heartwarming festive read, but its not just that, its about relationships - moving on and building them. Its about stepping out of your little comfort zone and builing new friendships because after all a girl needs her squad behind her. This book flows beautifully full of bumps in the road, its all about how Alice handles them, all the characters are well fleshed out and built well so we know them, they all have their own stories. I would reccomend this book over and over again, it really was a lovelt end to the festive season.